Allied Welding Systems in Dallas, TX is a leading provider of high-quality engineering components tailored to meet your unique mining and industrial needs. We fabricate top-grade engineered wear solutions at market-leading prices. We give close attention to every minute detail in all items we manufacture, so you can always expect superior quality, value, and service from us. Allied Welding Systems was established in 1984 and offers a wide range of proprietary materials to meet your industrial and mining requirements. We are one of the most experienced and respected suppliers of engineered wear solutions in North America. Our fabricating facilities are unsurpassed in the industry and can provide the most advanced material fabricating and machining which can significantly improve your overall cost of ownership. Doug Hamblin founded this company in 1984, and has served the industrial and mining community ever since. Doug works hand-in-hand with company engineers on a daily basis to design and solve operational wear problems. With a cutting-edge fabricating facility, we can fabricate turn-key solutions or consult with client personnel on site. Do you need a particular industrial component? Perhaps you require specially engineered wear solutions to meet your mining needs? No matter what your business requirements are, count on us to have you covered. We are here to provide the best value engineering components. 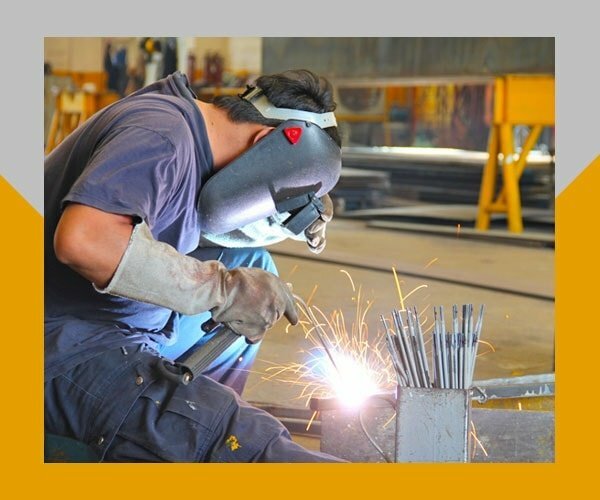 For more details about our welding and fabrication services, feel free to give us a call or send us an email.